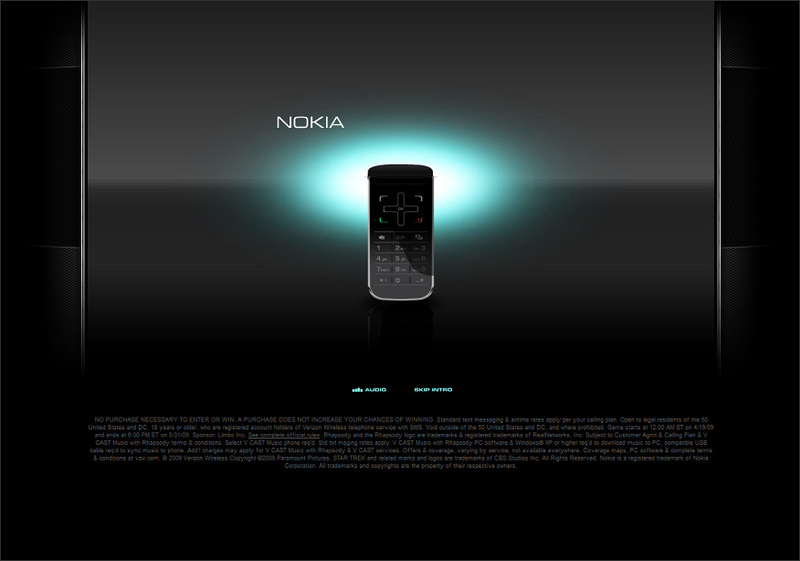 Intro sequence. 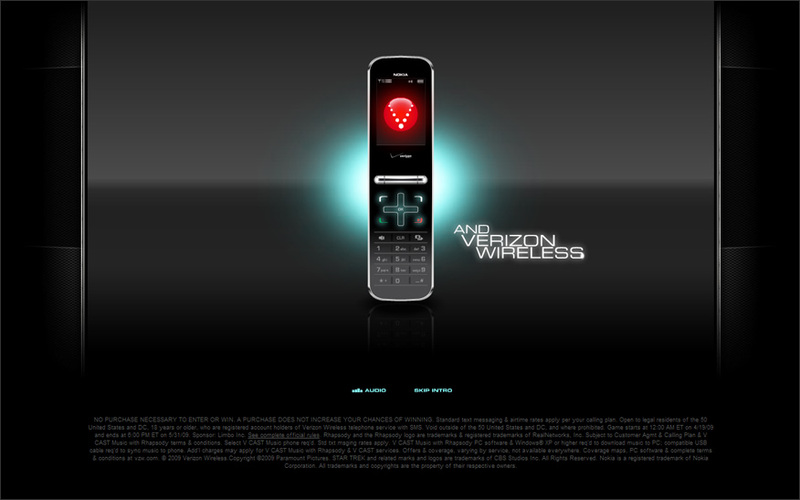 Vector animated phone designed in Flash. 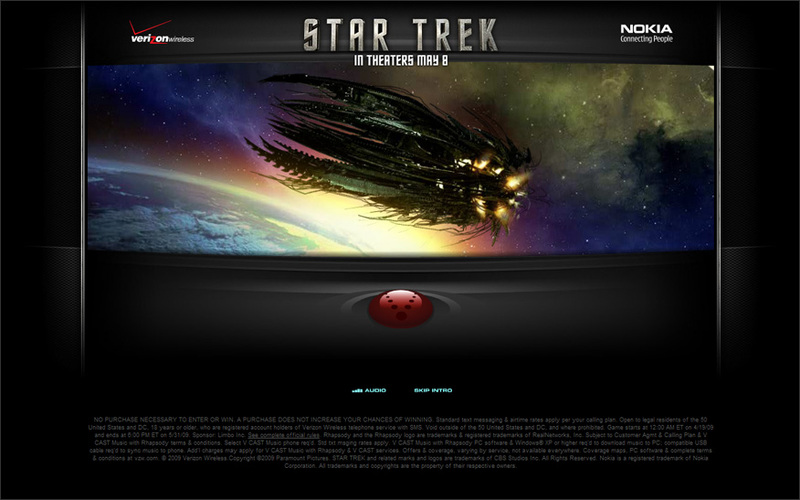 Intro sequence, enemy ship shoots a beam down from space. 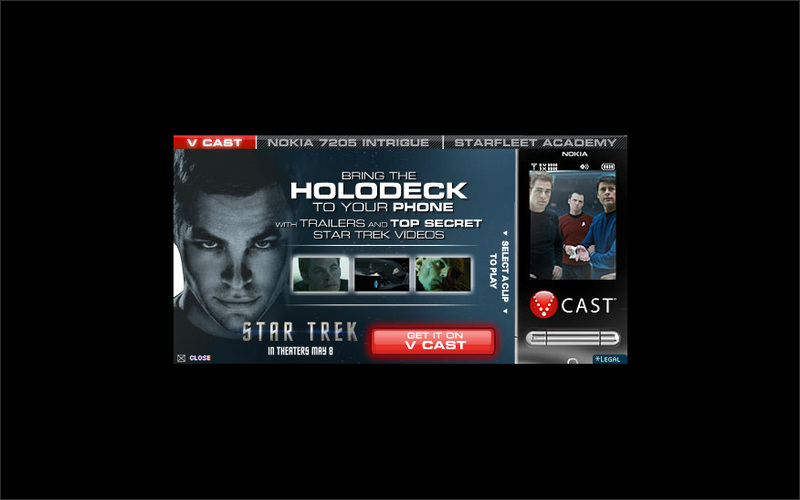 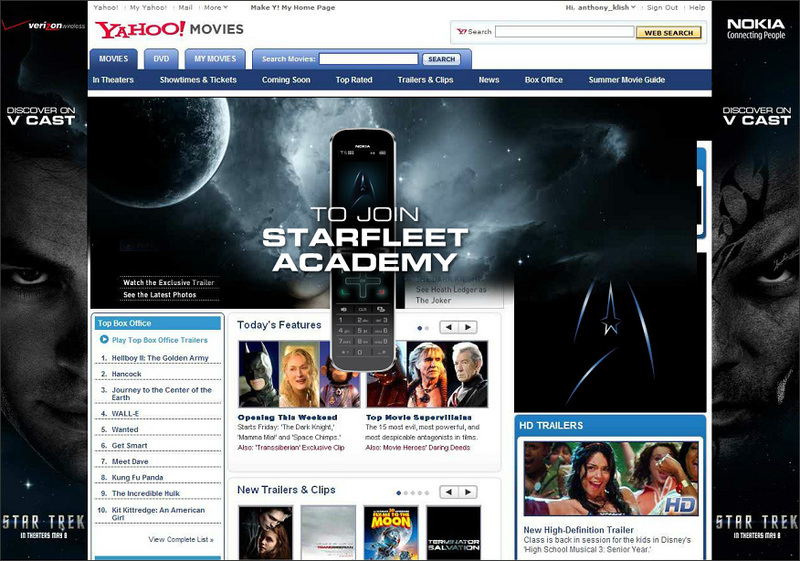 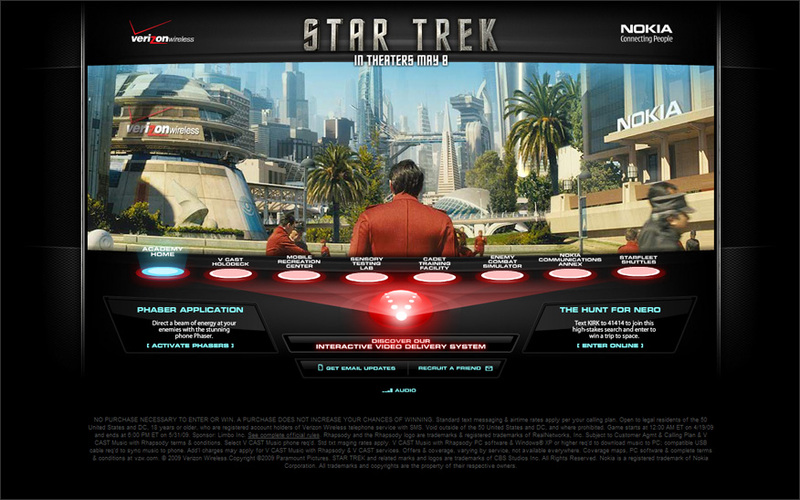 Pan down to Starfleet Academy homepage. 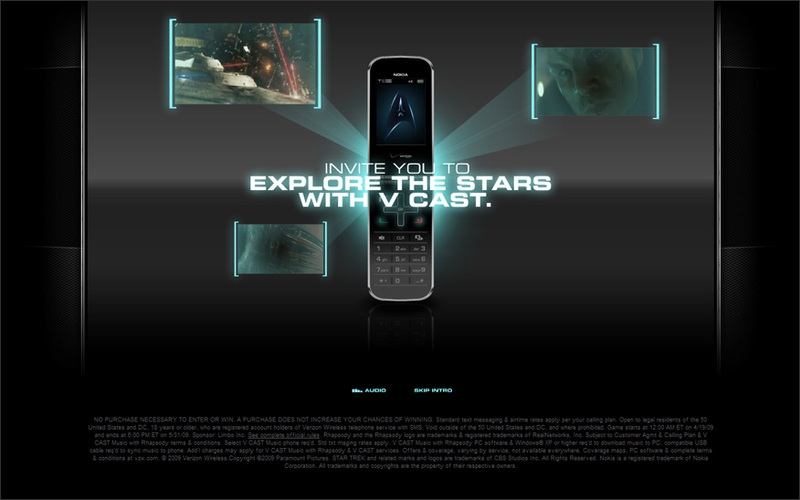 This page was composited with various stock elements and client assets. 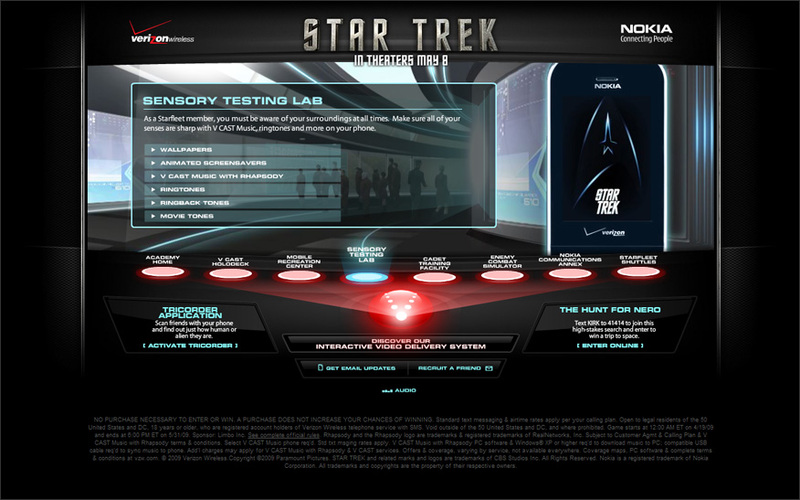 Interior page composited of various client assets and vector elements. 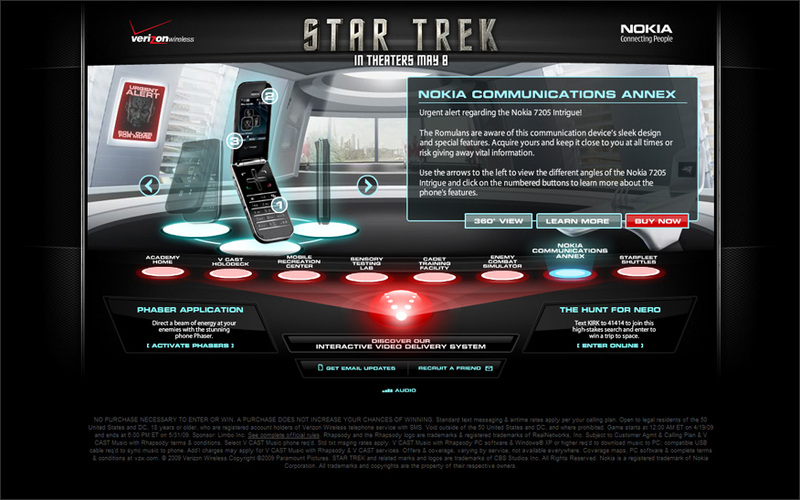 Interior page featuring a carousel of vector phones. Yahoo Movies rich media banner takeover. Yahoo Movies rich media banner takeover continued.